To list your business with your local visitor information centre and on this website register here! 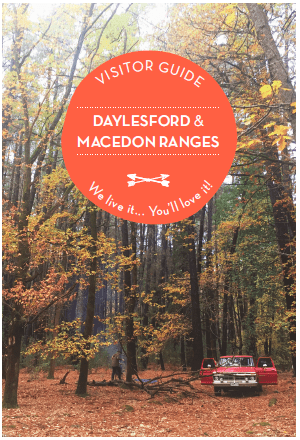 Daylesford Macedon Tourism (DMT) is responsible for showcasing our beautiful Shire as part of a broader region. Working closely with industry partners, State Government and Local Government, they implement a range of highly effective marketing, public relations and destination product development activities to drive visitation to increase tourism-derived revenue to our shire. All industry partners receive a monthly e-newsletter, an invitation to the quarterly Industry Briefings and an opportunity to attend our annual Industry Conference. For more information on all this and other opportunities call Daylesford Macedon Tourism on 03 5309 2770.